Will you be ready when Jesus splits the Clouds? 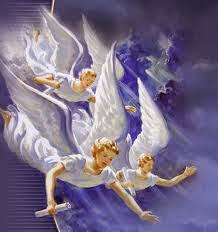 The Three Angels Message will save your life, so Get Ready Now! 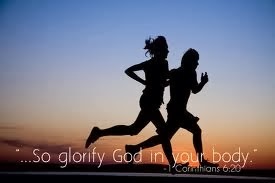 Your body is a temple for Jesus, so it makes perfect sense to keep it healthy. Being healthy means more than simply avoiding illness. It means living to glorify God. Everything we do to care for the body God gave us shows how thankful we are…and I’m not just talking about the food we eat! Living life to its full potential; physically, mentally, socially and spiritually is known as Living the Abundant Life, which is exactly what God wants for us. Don’t Worry Be Healthy! Stress and worry cause undue wear and tear on the mind and body. Of course, it is natural to be concerned about the important things, but constantly fretting about things that you cannot possibly have any control of is a waste of time and emotion. Focusing on these little and insignificant things will only drain you of what is good. It will only make you blind to the many good blessings in your life…blessings that you also have no control over. That’s right; you cannot control the bad or the good. When rain falls, everyone gets wet; when the sun shines everyone feels its warmth. Disease and accidents are things we have little control over, but we can make sensible choices to reduce risk and promote good health. Many diseases are brought on by poor eating habits and lack of exercise. Obesity is one of the greatest killers; yet, one of the easiest to prevent. God created a perfect world and He provided Adam and Eve everything they needed in the Garden of Eden. Consider the diet that God intended for all of us then wonder why so many choose to carry the excess weight that will only drag them down and reduce the days of their life. 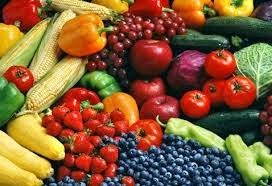 Food from God: The diet in the Garden of Eden consisted of fruits and vegetables, nuts, seeds and grains. Since there was no death, animals were not eaten; therefore, there was no such thing as high cholesterol and heart disease! We do need protein, but we don’t need to get it from any animal products! A plant based diet provides high-nutrition and low-calories. God’s prescribed diet is superior to any other. Exercise: “I don’t have time,” is the most common excuse of all! We are given 24 hours in every day. If we can find 6 - 8 hours to sleep, 8 hours to work and all the time we spend eating in front of the TV, then we can certainly find time to take care of our body! Instead of gorging on two big plates full of food for dinner, followed by chips and ice cream in front of the TV, eat just one plate of food, drink plenty of water, then go for a walk! Enjoy nature; listen to the different sounds of birds, crickets and cicadas. Look at the different colors in the sky and shapes of the clouds. If your time is so limited, use this time for prayer and reflection as well as exercise. Water, Air and Sunshine: The sun, air and water are gifts from God and great sources of nutrition! Water is essential for health. We need to drink plenty of water to stay hydrated and to promote healthy kidney function and regulate our body temperature. The sun is a valuable source of vitamin D, necessary for maintaining hormone levels and promoting cell growth. Vitamin D helps the body process calcium for strong bones and healthy teeth. Fresh air is critical to healthy lung function. 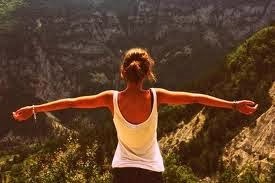 In fact, we simply cannot live without air! Unfortunately air pollution is part of our world today, but we do have some control. I don’t think I have to go into the health effects of smoking! Rest: I’m not talking about laziness! That is one of the reasons so many people are overweight today; they are just plain lazy! On the other hand, lack of sleep can also effect metabolism and promote weight gain. Lack of sleep can lead to high stress which can lead to impulsive eating and obesity. The rest I’m referring to here is 6 – 8 hours of sleep each night and 24 hours per week of rest from the secular world. God rewards us by giving us the Sabbath rest after a 6-day week of productive work. I work hard all week; therefore, the commandment to rest on the Sabbath is the easiest one of all to keep! You say you want me to rest one day a week…oh yeah! Sounds good to me! Of course there is more to the Sabbath day than simply resting, but that is another whole article which I promise to write soon. Eggs – good or bad? There has been some controversy about eggs. Though they are not a necessary part of a healthy diet, I like them too! There are far worse things to eat than eggs. 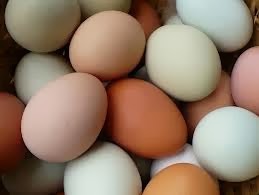 If you are going to eat eggs, consider Free Range Eggs versus Caged Chicken eggs. Spiritual Health – The Three Angels Message is an important message for life – everlasting life! Humor – Laughter is the Best Medicine! Contrary to popular belief, being a Seventh-day Adventist is not all about being simple, humble, serious and low-key. Check out the side bar to the right for humorous videos and some good (clean) jokes. There is plenty of evidence in the Bible that God does have a sense of humor so go ahead and enjoy a good laugh once in a while. 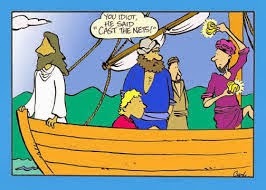 Seriously, think about it…do you really think God would have any interest in seeing any of his children, even the most evil, burn for all eternity? God is the sustainer of all life; he is constantly at work keeping things alive. Why would a loving God care to keep evil people alive to torture for eternity? I think he is more interested in spending eternity focusing on better, more enjoyable things like loving his children who love him. 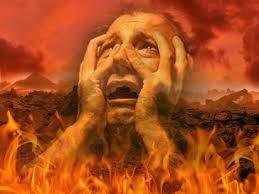 This article will address and correct some commonly believed misconceptions about hell. There really is no hell (not as most people imagine it anyway). This is the most important promise stated in the Bible. It states that believers will live eternally, not the wicked. The followers of Satan will not burn eternally, but they will join him in the flames where they will die a final death and sleep for eternity. When a fire burns, it eventually goes out, leaving ash behind. That is exactly what hellfire will do. 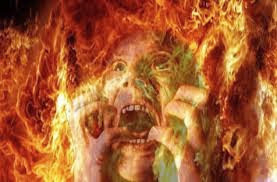 In other words, God plans to destroy the evil forces, not put them in charge of an eternal firepit! Satan and his angels will not be exalted, even in hell! Oops! Did it say ‘day and night forever and ever’! That could be why some people think hell is for real with eternal torture and burning for the wicked and evil! Of course, we know that Samuel did not remain in the sanctuary forever. Chapter 7 of the book of Jude indicates that the people of Sodom suffered the vengeance of “eternal fire.” If this were meant literally, then Sodom would still be burning today! So, in describing hellfire the terms forever and eternal mean until the wicked are consumed. It also means that the consequences of evil are eternal, just like the rewards of righteousness are eternal (as in eternal life). When forever and eternal are used in reference to everlasting life, you can take it literally as promised by God. Where is hell and who is there? So, hell will not exist until the end of days and no one is there yet! The dead are sleeping until Jesus returns. I know it sounds nice to say “grandma is in heaven,” or “that wicked man is now burning in hell,” but is simply isn’t so. This will be explained in an upcoming article about the state of the dead. Bible expressions of forever and eternal, written according to the Hebrew language, can indicate utter and thorough destruction, or until death. When speaking about hell, it means that judgment will be thorough. When the Bible was written, it wasn’t intended to be confusing, but it was intended to make people hunger for the truth and give them the desire to study intently. The Bible was written a long time ago, in an ancient language. We are blessed to have access to the Word of God translated in our language. Amazing Facts Study Guide: Is the Devil in Charge of Hell? Three Angels Message – Are You Ready? 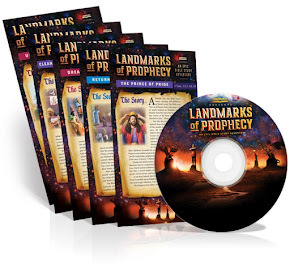 The Three Angels Message contains critical information that could literally save your life! I’m referring to your eternal life in Heaven. 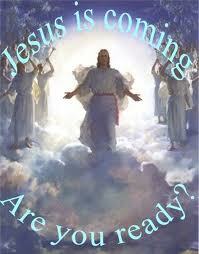 Jesus is coming soon; will you be ready? Though no one knows the exact time of his coming, except Jesus Himself, it is one appointment that you cannot afford to miss! For many people the book of Revelation is a very confusing book. Some say it is scary, full of dread, but it actually contains good news and hope for God’s people. Satan and his followers are the only ones who should be trembling at the messages provided in Revelation. We must study and pray in order to understand the symbolism in Revelation. Simply reading it is not sufficient for most people to grasp its full meaning. 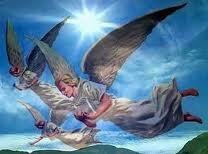 This article is only intended to give you a simplified version of the three angels message. I hope and pray that you get excited enough to study more deeply and take advantage of the resources offered in this website to learn more and to develop a close relationship with Jesus so you are not left behind when he returns to take his people home! 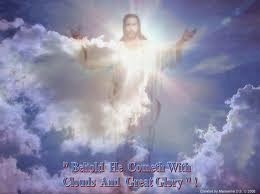 Jesus is coming soon and angels are real! Some are assigned to be protectors and guides for God’s people. Others are God’s messengers who proclaim the good news of our salvation. 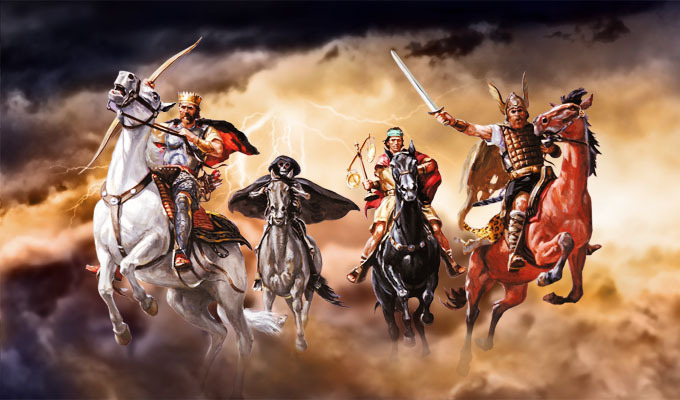 Revelation 14 contains some of God’s most awesome end-time messages wrapped in the symbolism of three flying angels. Much of revelation is symbolic, but Jesus’ second coming is very real, Heaven is real, angels are real and their message is critical to your salvation! Fear God: This does not mean to be afraid of God, but to revere God, love God and trust and respect Him. Be happy to serve him and keep his commandments. Give Glory to God: Obey God and give Him praise; thank God for everything. It’s OK to take pride in your work, but don’t be sinfully proud of your accomplishments. Remember everything good comes from God and He is the source of your success, so thank Him for blessing your work and all that you do. The hour of His judgment has come: We are all accountable to God and the judgment is now in session. Worship the Creator: Reject idolatry, self-worship, and evolution! Worship God on the Sabbath which is the 7th day of the week (Saturday) and the day He set aside as a memorial of Creation. Do you know what this means? Is it possible that you are in Babylon now? The second angel warns God’s people to come out of Babylon immediately. Babylon was the name of both an evil city and an immoral empire, a world center of idol worship. Just as Babylon was the Jews’ worst enemy, the Roman Empire was the worst enemy of the early Christians. The name Babylon has been applied to the enemy of God’s people (Rome) and, by extension, to all God’s enemies of all times. Those who worship the beast accept his mark and operate according to his world economic system will ultimately face God’s judgment. The world values money, power and pleasure over God’s leadership. Many people will disown God and violate Christian principles to have what the world values. The third angel warns that these people will drink the wine of God’s wrath. Sadly, many people will worship the beast and accept his mark without even realizing it! · Come out of Babylon! · Don’t take the Mark of the Beast! 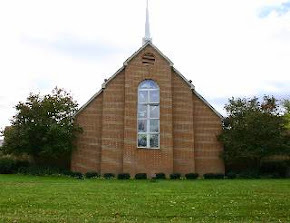 As a new member of the Seventh-Day Adventist Church, I am convinced that no one can fully understand the three angels message without instruction from the church. The first angels message is pretty clear, but further study is needed to understand the second and third angel‘s messages. Again, this article was just intended to give you a simple overview and to entice you to learn more. Please do not be discouraged and do not be afraid. If you are in Babylon, you can come out. If you have (unknowingly) been marked by the beast, you can erase it! Where there is life, there is hope. As long as you live, you can turn and repent. Ask for God’s forgiveness and you will be forgiven. This is why Jesus died for us, so that we could be redeemed. He knew, from the very beginning that all of us would fail to measure up to the glory of God. The King James Version of the Bible states in Acts 17:30: And the times of this ignorance God winked at but now commandeth all men everywhere to repent. I believe God’s eye has been stuck shut for quite some time winking at me! So, please do not take my word for it. Study, study and study some more! To the best of my knowledge, everything I post on this site is true, but I’m only human, and I can make mistakes, so study God’s word to learn the truth. I will continue to study and pray and thank God every day that I am seeing the light and learning more of the truth every time I read from my bible, attend worship service and join in group bible studies. Of course, I will not know it all until I get to Heaven, which I am eagerly looking forward to (but not taking it for granted). The Amazing Facts Study Guides are a great source of information about the Three Angels Message. Much of the content of this article was taken from Study Guide #16 Angel Messages from Space. For more information about Babylon, read Study Guide #20, The Mark of the Beast and learn more about the beast and his mark in Study Guide # 21 The USA in Bible Prophecy. Click Picture to Register at a Location Near You! After a few minutes, her ex-husband arrives at the gate. Three pastors got together for an afternoon of fishing. They decided to make it a prayerful event as well. The first pastor suggested each man present his most troubling problem so they could pray about it. A thief has done his homework, cased the place and become quite familiar with the rich family’s schedule. He knows the home will be empty and they will be out late tonight. He breathes a sigh of relief, laughing as he relaxes his arm, and brings the light down under the cage where it reveals a large dog just sitting there! “Sick um Jesus!” says the parrot. The mall was crowded and Mom was having trouble finding a good a parking spot. Miraculously, an excellent parking spot appeared, nice and close to her favorite store! A very faithful man had a fear of flying but he really wanted to go to Hawaii, so he asked God to build him a bridge to Hawaii. What do you do if you find yourself in a situation that requires arresting your mother-in-law?